Our agenda consists of seven critical areas where UACT focuses its efforts. Cancer drugs should be affordable and available, everywhere, for everyone. Pricing of products so they are not available to those who need them should be illegal, and subject to effective remedies, including fines and removal of legal monopolies. 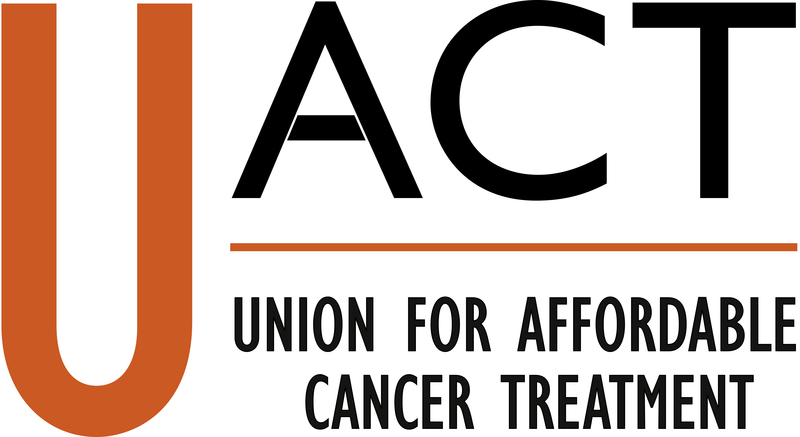 Global norms concerning "access to medicine for all" includes cancer medicines. The 2001 Doha Declaration on TRIPS and Public Health applies to treatments for cancer, including in particular, Paragraphs 4, 5, 6 and 7. Intellectual property rights on new cancer drugs and diagnostics should include limitations and exceptions on rights, in order to prevent abuses of such rights, such as excessive pricing, denial of access to rights in inventions and data for follow-on products, and more generally to protect the public interest. Intellectual property rights in test data, when granted, should be subject to exceptions to rights, in order to prevent abuses of rights, and to protect the public interest. Trade secrets protections should not be used to prevent broader access to clinical trials data, or to prevent governments from providing legitimate access to know-how regarding the manufacture of drugs, vaccines or diagnostic devices. Rules for registering biosimilar drugs should not be designed to create unreasonable burdens on the biosimilar product, or require drug developers to conduct trials that are unnecessary. The WHO should reform the model list for essential medicines, to include drugs that are medically important to cancer patients, when such drugs are available at affordable prices. Governments need to migrate to a system of delinkage of R&D costs from product prices, for drugs, vaccines and diagnostic tools. The appropriate way to deal with global free riding for cancer research is a global R&D treaty or trade agreement, rather than agreements on cancer IPR or prices. To reform the incentive for product development, governments should replace legal monopolies with cash rewards for successes in product development. This includes monopolies associated with patents on inventions, exclusive rights in test data, and the growing number of sui generis monopolies such as orphan drug exclusivity, designed to induce private investments in drug development. Research and development of new cancer drugs requires a mixture of financing approaches, including both push and pull mechanisms. Among the pull mechanisms, patent monopolies should be replaced with innovation inducement prizes. Direct government funding for research is also very important, for everything from basic research through late stage clinical trials. Governments that fund research on new treatments and diagnostics for cancer should ensure that such research is available as a public good. More research is needed for the development of inexpensive and effective diagnostic tools for cancer that can be used in resource poor settings. In order to fund R&D for low cost diagnostics, new business models and R&D funding models are needed, based upon the delinkage of R&D costs from product prices. Increased transparency is needed on the part of pharmaceutical companies and government drug approval agencies. Information concerning the costs of R&D, the prices of drugs, revenue generated by specific drugs, and any adverse effects should be made available to the public. In order to foster greater availability of pricing information, a database of cancer drugs and drug prices should be curated, with the involvement and assistance of cancer patients. Cancer patients and consumers should be included at the price negotiation table with pharmaceutical companies and third-party insurers.